Home » Blog » Real Estate Investing » Always Check Service Entrances For Electricity And Water When Inspecting Foreclosed Properties! I just realized something when I inspected a foreclosed property recently and I would like to share it here. 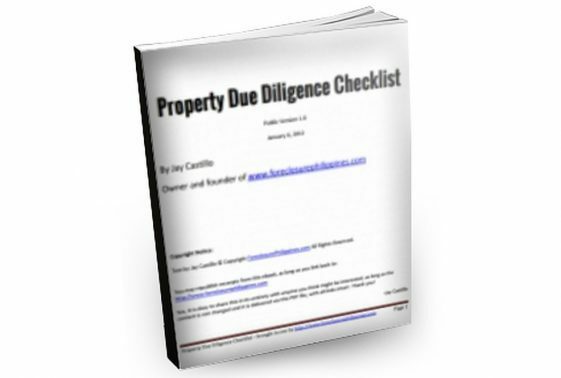 While doing inspections of foreclosed properties as part of due diligence, you should always check the condition of the service entrances for utilities like the electricity and water. I failed to do this twice for foreclosed properties I have acquired recently, and only learned about these after I had already acquired those properties. 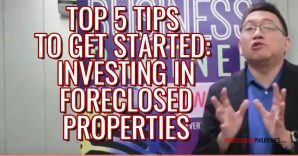 I would like to spare all beginning real estate investors out there from the potential problems that may happen if you overlook this, just learn from my mistake so you don’t have to do the same. Let me try to run through the potential problems below. 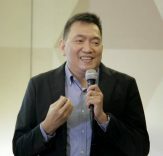 If the Meralco meter does not exist, you will have to apply for a new connection and you need to consider the lead-time for this along with the actual installation time. Yes, you will need to spend time and money applying for a new connection and all the hassles associated with it, like visiting the concerned Meralco branch to apply for the connection, waiting for the inspection, securing the electrical inspection certificate at the city hall, submission of the final electrical inspection certification to the concerned Meralco branch, paying for a new deposit, waiting for the installation of the meter base, etc. This may sound intimidating for some but I enjoyed doing it, because I like learning new things and getting out of my comfort zone. Imagine this scenario: you bought a foreclosed property, started fixing it up, found a tenant, and closed the deal with a lease contract that they will move in once the repairs are finished – BUT, there was no electricity. Do you think the buyer will move in? I don’t think so. Do you think this can be a deal breaker? Maybe. 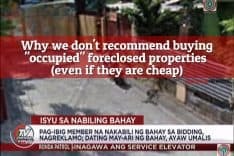 This almost happened to me, but thankfully, the electricity was installed just in time because it just so happens that the Meralco Branch that covers the area where the property was located gave very fast service (Kudos to the Meralco Cainta branch where I applied for a new connection and the Masinag branch where the inspector was based!). 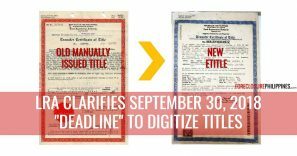 It helped that when I applied for the new connection, I had with me one of the billing statements that I found on the floor of the foreclosed property. I gave it along with other requirements to the person handling my application and he said that since the house was already in the system, they will just update the records to reflect that I was the new owner and I should expect their inspector to visit the property the next day. Yes, they were that fast as the inspector really did come the next day. I was very glad that electricity was up and running in less than three weeks unlike in my friend Dinah’s case where it took 122 days. 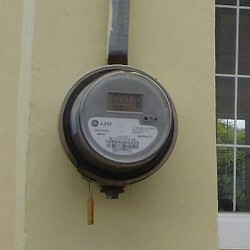 This property had its MERALCO meter intact, perfect! In contrast, if the Meralco meter does exist, then there is a high probability that all you have to do is just settle the arrears left by the previous owner. Before, I used to depend on the bank to find out just how much exactly the arrears would be, but I realized that an alternative source for this information was literally under my nose, lying on the floor to be exact. If you have inspected a foreclosed property before, one of the first things you would notice are the bills and mails that are scattered all over the place. If you are just like me, you would often just stay clear from them and would not even consider looking at them. I realized that these bills can actually give you a wealth of information such as: who was the previous owner, how long have the bills been left unpaid based on the earliest notice of disconnection you may find, and most importantly, how much are the arrears which are sometimes for the account of the buyer. Sure, the bills lying around might not be up to the current month but you can always bring it to the Meralco branch covering the area and ask for an updated statement of account (SOA). In fact, this was exactly what I did a few days ago, with the help of my broker. She picked up a bill lying on the floor, gave it to me and told me to just pay the arrears. I was very lucky because I no longer had to apply for a new connection. I then went to the nearest Meralco branch and asked for an updated SOA. Lo and behold, it was higher than I anticipated but was still just about the same amount I would need to pay as a non-refundable deposit if I was to apply for a new connection. Not bad! I couldn’t help but smile (I was wearing long sleeves and a tie). I just said that “I have just purchased the property and as the new owner, I just want to settle the arrears”. So I paid, and with electricity intact, the renovation can proceed anytime. 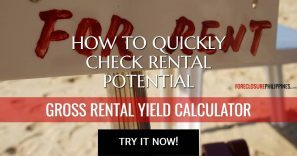 Previous PostManage your finances to get ready for your first real estate deal! 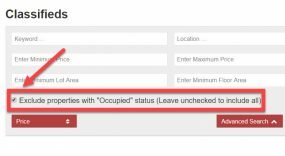 Next PostI failed to grab my first real estate investment property… so what?! Just keep moving forward!